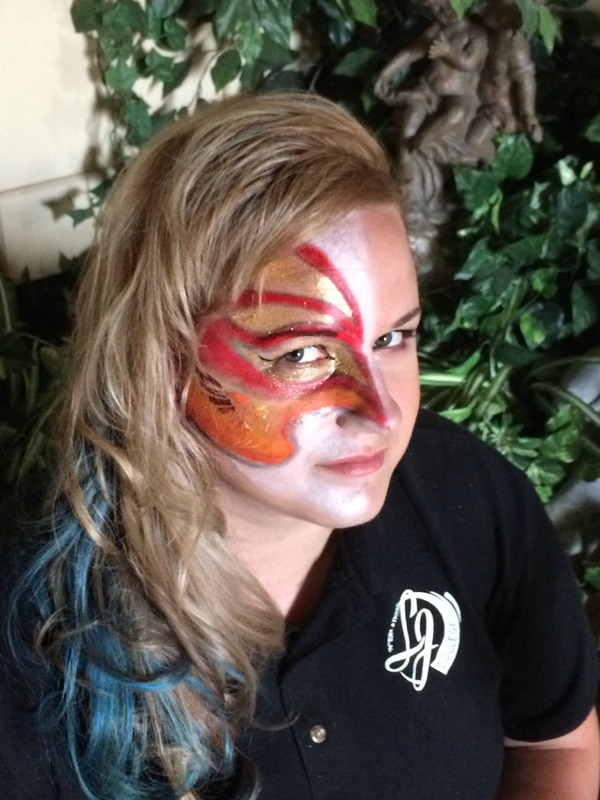 Taylor Utter, Cosmetology Student at La’ James International College in Cedar Falls is finding inspiration! 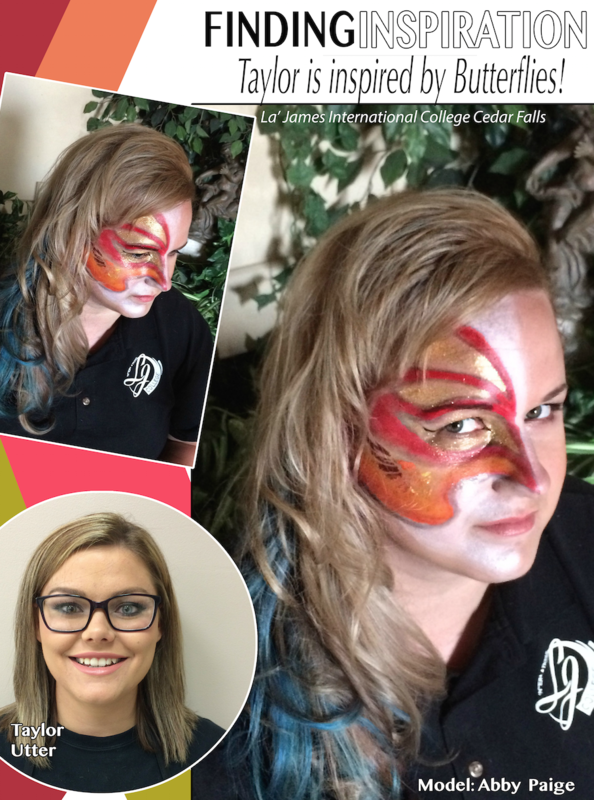 Students at La’ James International College in Cedar Falls are re-creating looks based on new inspirations they find around them. This week, Taylor Utter was inspired by butterflies, along with model: Abby Paige. For this look, Taylor curled Abby’s colorful hair with a large barrel curling iron. Before twisting all of the hair smoothly to one side, Taylor let the curls cool. The texture of the hair shows the movement of wings. 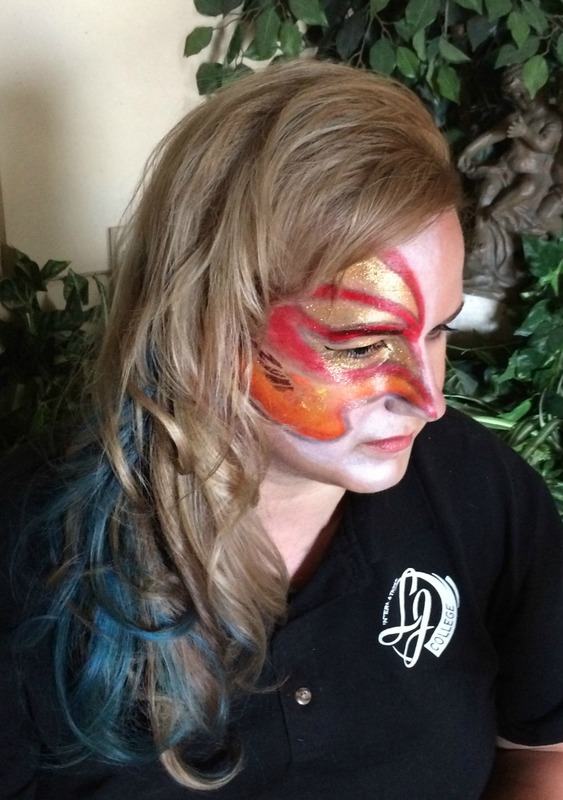 Taylor created a one of a kind design that represents the uniqueness of the butterfly wings by adding some bold red, gold, orange and black art to the face.